Having a sturdy shed foundation that's built right is so important for the life of your shed. If not done properly, building your new shed will be a struggle. You will probably encounter everything from walls not lining up to roof sheeting not fitting properly. Down the road there is also a likely chance that you will experience things like your shed doors not closing properly, windows not opening, and leaks from your roof, just to mention a few! Wooden shed floor with concrete anchors. Wooden shed floor on blocks or concrete piers. Wooden shed floor on compacted gravel base. This option is one of the best, but also the most expensive. Learn more about using the concrete option here. One of the most widely accepted methods is building a wooden shed floor and anchoring is down with concrete anchors. 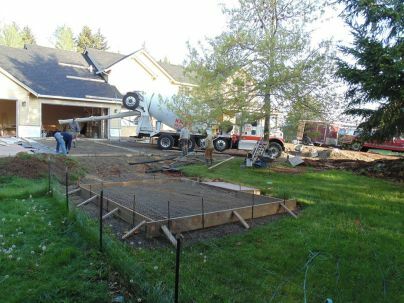 Although the concrete shed floor is probably the best foundation option you can use, it is also the most expensive. 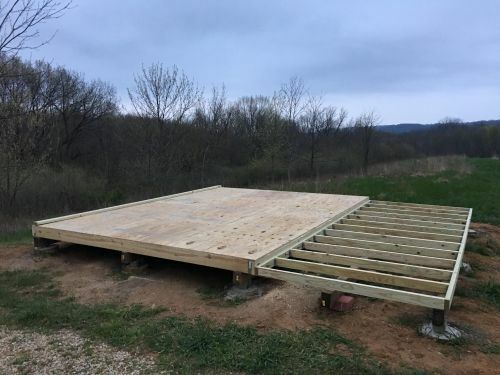 In the greater Dayton area where I build sheds, the most widely accepted method approved by local building inspectors when building a wooden shed floor is to have the concrete floor anchors shown above. This method not only helps prevent shifting, but it helps to anchor your shed down in heavy winds. Of course hurricane or tornado force winds can blow any shed over, but for normal everyday weather conditions this option is widely accepted across the country. Sometimes 2 anchors caddy corner are acceptable, but I almost always went with an anchor in each corner. Learn more here about the above option. A framed wooden shed floor resting on concrete blocks is another option. Learn more about this option. 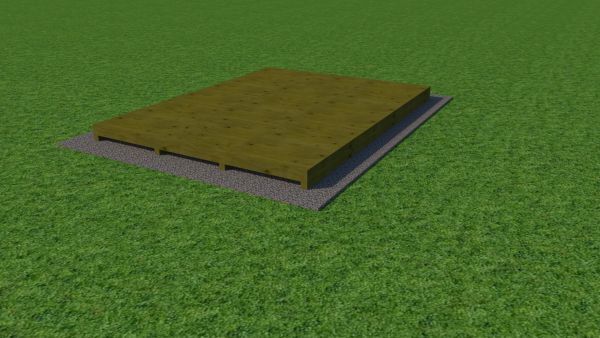 Another option is building your shed floor on a base of gravel. Here's more information if you are considering this option. If you have the opportunity to purchase one of my shed plans, you will quickly find out that my favorite of all shed foundations is the wooden floor built on 4x4 skids which are anchored to the ground with 4x4 posts/piers sunk in concrete. Out of the 10 or so county's around where I live, and purchased a building permit, this was the required method of anchoring a shed floor. 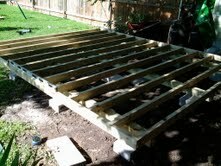 Here's more information you can use to build your shed floor.